BioProfile pHOxis the first analyzer designed specifically to provide rapid, accurate measurement of acid base and respiratory parameters in cell culture and fermentation samples. 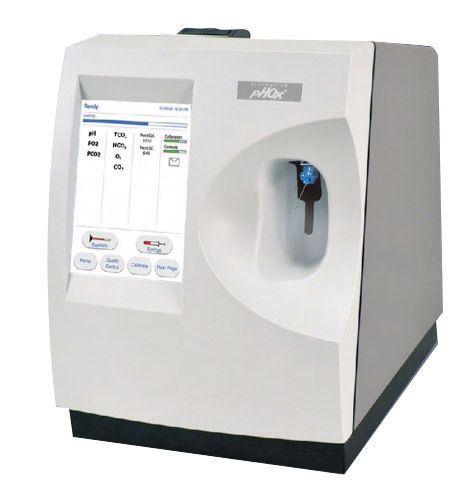 This compact, easy-to-use analyzer measures pH, PCO2, and PO2 in the appropriate ranges for cell culture and fermentation processes, and provides calculated values for total CO2, bicarbonate, CO2 saturation, and air saturation (dissolved oxygen). BioProfile pHOx analyzers measure only 12” wide by 15” deep by 15” tall (31 cm x 38 cm x 38 cm), including on-board reagents and controls, as well as a sealed waste container to store used reagents and samples. BioProfile pHOx features smart reagent cartridges that are easy to use with simple snap-in replacement. A self-contained waste receptacle within the cartridge eliminates direct handling of waste and direct contact with hazardous biological materials. Other systems can pose significant waste handling hazards to operators. 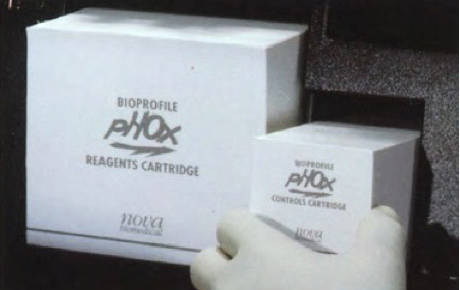 BioProfile pHOx features a completely automated QC system contained within a single on-board QC cartridge. This unique system combines multiple levels of controls and dedicated software, allowing any level of QC to be run at any time—either on a pre-programmed schedule or on demand. This dramatically reduces costs by eliminating the time and labor required to manually perform QC. Test results are available in 45 seconds and can be printed. Data is also stored and can be retrieved for review at a later time as well as transmitted to an external computer. Samples can be aspirated directly from syringes, pipettes, test tubes, flasks, or sample cups with a volume requirement of only 300 µL. Specifications current as of revision date.